Set includes a necklace and a pair of earrings. 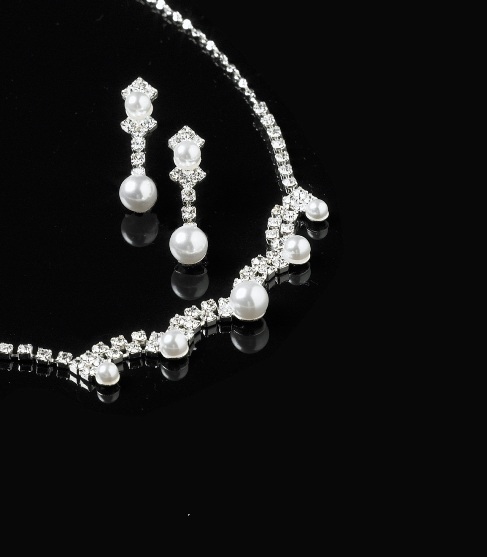 Double strands of Austrian crystals are accentuated by pearls. The pearls start out small to start the scallop design and grow slightly larger at each peak with the largest pearl at the center of the necklace. For the earrings, a single small pearl stud is crowned with Austrian crystals that cascade down to a larger pearl. Earrings are pierced. FWO Extra: 16 inch Necklace comes with a 2 inch extender.